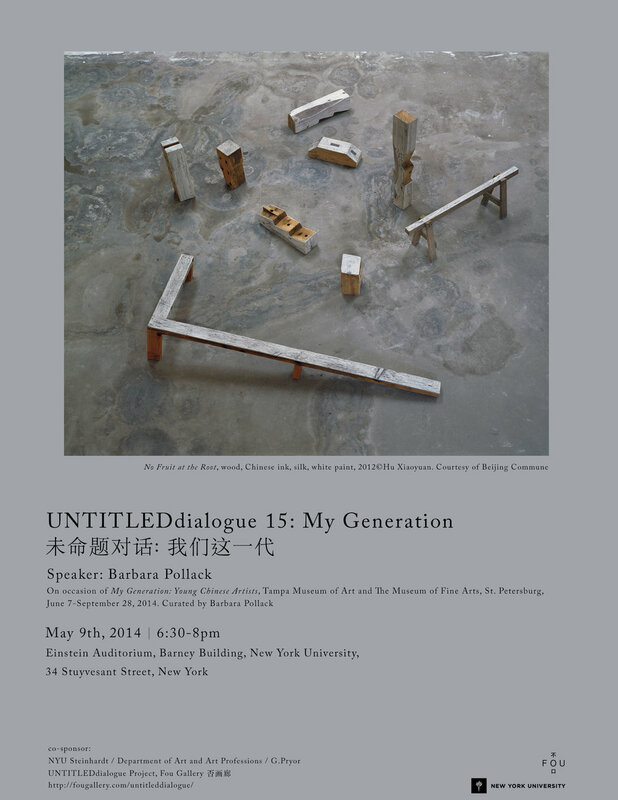 Fou Gallery is pleased to announce that on May 9th, 2014 (Friday) 18:30-20:00, the 15th UNTITLEDdialogue will invite art critic and curator Barbara Pollack to talk about her curatorial concept and details about the upcoming summer exhibition--My Generation. My Generation,co-presented by Tampa Museum of Art and the Museum of Fine Arts, St. Petersburg, will feature 27 young artists from Mainland, China, providing a collective dialogue on Chinese emerging art. The project gains support from NYU Department of Art and Art Professions/ Steinhard, and professor Gerald Pryor. After the end of the Cultural Revolution, a new generation of artists was born who, unlike their predecessors, pay less attention to political issues and reject the notion of a Chinese identity. This new generation grew up with the Open Door policy and the rapid development of industrialization and globalization. Pollack, who has been writing about Chinese contemporary art for several US art magazines since the late 1990s, began to focus on these young avant-garde artists three years ago after the publication of her book, The Wild, Wild East: An American Art Critic's Adventures in China, an incisive survey of the booming Chinese art market. As a blind spot in Chinese contemporary art history and often misinterpreted and misunderstood, this new generation of Chinese artists needs broader exposure. My Generation will display over 50 works by 27 artists who were born after 197 and come from every region in China. Designed as a traveling show, this exhibition will occupy over 1000 square meters in two museums. 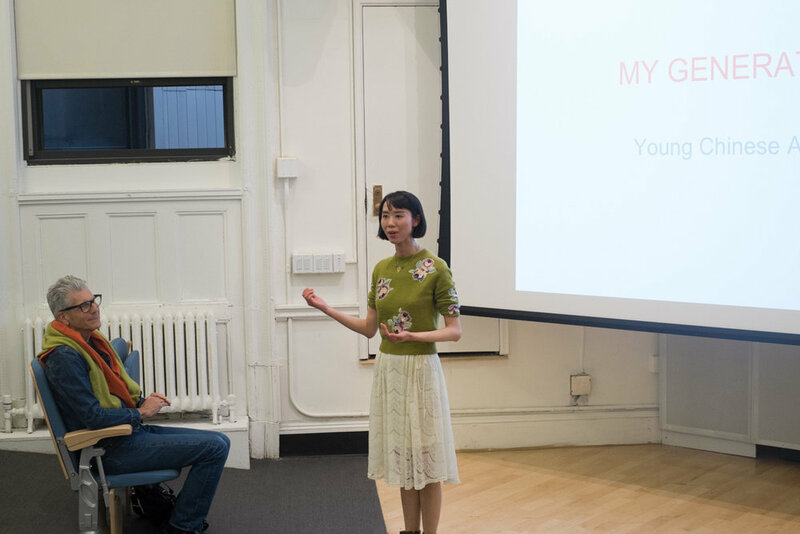 My generation aims to highlight the unique qualities of Chinese emerging art and focus on several themes, including the generation gap, urbanization, political pessimism, and individuality. When many westerners still look upon Cultural Revolution-style works as the mainstream Chinese contemporary art, My Generation will express exactly what is going on in China and offer audience a deeper understanding of China. Barbara Pollack Art critic and Curator based in New York. Pollack's interest in China goes back to the late 1990s when she published groundbreaking articles on the Chinese art in Artnews, The Village Voice and Art & Auction. Since then, she has written about the Chinese art scene for Vanity Fair, The New York Times, The Washington Post, Art in America, Modern Painters, and Departures. Based on her extensive research in this field, Pollack received a grant from Asian Cultural Council in 2006 and the prestigious Creative Capital/Warhol Foundation arts writers grant in 2008. She is also the author of The Wild, Wild East: An American Art Critic's Adventures in China, published May 2010 by Timezone 8 Books.